Firelight homes, atlanta custom home builders. Custom home building should be fun and educational. We combine our industry leading home building standards, along with your road map, into a complete custom master plan for the building process. Firelight Homes combines over 85 years of home building experience to form a construction team that has seen almost every situation that one could encounter on a project site. Firelight’s full visibility on the schedule, design, home build, and budget allows you the comfort of knowing where things stand at all times. Our process has regularly scheduled meetings, site walks, and quality inspections all to provide you with peace of mind. Firelight Homes practices Green building, or sustainable design, by increasing the efficiency with which buildings and out sites use energy, water, and materials, and reducing building impacts on human health. These concepts extend beyond the walls of our houses and are included in site planning, community and land use planning issues as well. Perched atop Lost Mountain in West Cobb County, this new property features over 180 degrees of premium mountaintop vistas. When complete, this estate will feature floor to ceiling windows in the great room, vaulted ceilings throughout all three levels of the structure, and an unbelievable outdoor living space complete with oversize patios and a pool/spa package. We will be posting updated aerial photos and videos as the construction comes to completion. Firelight homes was featured in Atlanta Home & Lifestyles Magazine in the November 2018 and December 2018 issues. In the issues, you can see some of the craftsmanship, custom finishes, premium materials, and attention to detail that goes into each and every one of our builds. Over the years, we have fostered relationships with some of the very best materials suppliers in the region ensuring that no detail of your dream-home is unattainable. Looking for those perfect cast-iron entry doors? We’ve sourced them. Is a hybrid indoor/outdoor living spaces more your style? We’ve got a solution for that. Do you really love antique finishes or reclaimed building products? Firelight Homes would love to make all of those dreams become a reality. 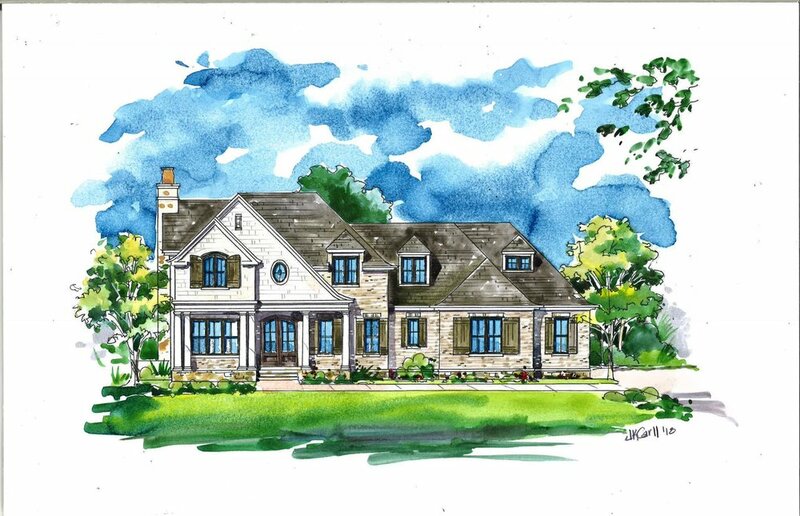 Check back soon for more details about this beautiful custom home. Firelight Homes is Proud to be a member of the Greater Atlanta Home Builders Association. The Greater Atlanta Home Builders Association (HBA) is a not-for-profitprofessional trade association dedicated to promoting, protecting and preserving the homebuilding industry as a viable economic force in the Atlanta area. Members of the HBA must abide by a strict set of standards that ensure professionalism and quality. Copyright Firelight Homes 2015 - Photography by Lief Media Group Atlanta, LLC.